Could This Tragedy Have Been Prevented? A shooting outside a Houston bar reportedly claimed the life of one man and left another injured Saturday night, July 15, 2017. According to The Houston Chronicle, gunfire erupted during “a fight in the parking lot outside a Houston bar in the 10200 block of Club Creek. 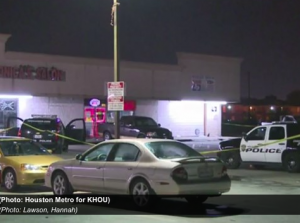 KHOU News reports, two men were struck during the hail of gunfire. Tragically, one succumbed to fatal injuries at the scene. The condition of the second victim has not been released. Did negligent security contribute to this senseless loss of life? We represent individuals and families who have suffered a tragic loss or injury as a consequence of negligent property security. 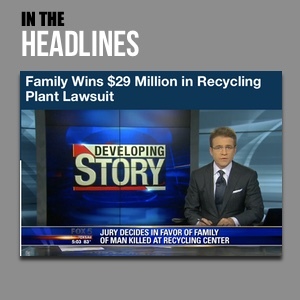 Read Our Legal Take below to find out if the victim’s family may have a legal avenue for justice and claims for substantial compensation in Texas, or call now for a free consultation with our legal team: 888.842.1616. Bar and parking lot patrons have a right to feel safe and secure while on the premises. The Murray Law Firm questions the level of security provided on the property and whether this tragedy may have been prevented. Were any efforts made by bar management or security to safely and separately remove those involved in the initial altercation, prior to an escalation to gunfire? What parking lot security measures, such as bright lighting, surveillance cameras and security patrols, were in place to deter crime and protect patrons at the time of the shooting? Generally, property owners are required to protect all patrons legally on the premises from any foreseeable harm. Should the facts of this matter reveal that the bar or parking lot owners failed to provide adequate security to protect those on its premises, the victim’s family may seek justice and elect to pursue legal claims for his wrongful death. Additionally, the other victim of this unconscionable attack may pursue legal claims for his injuries.